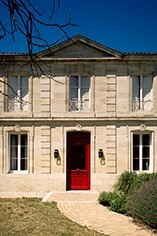 The Wine Advocate - Owned by the well-known Cazes family of Lynch-Bages, this popular St.-Estephe has turned out a dark ruby/plum-colored 2011 with sweet cassis and black cherry fruit. A slightly short finish is present, but the wine has a good front end-loaded combination of fruit, extract and succulence. Its medium-bodied and tails off in the mouth, but it is well-made. Drink now-2019. Wine Spectator - This has crunchy acidity, with herb-inflected plum, currant and cherry pit notes. Lots of aromas swirling here, with brisk length. 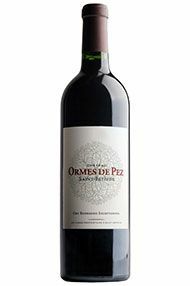 Parker - An elegant, medium-bodied, front end-loaded effort, the dark ruby/plum-tinged 2011 Les Ormes de Pez offers attractive red and black fruits intermixed with dusty, loamy soil undertones, and medium body. This soft, consumer-friendly St.-Estephe should drink nicely for 7-8 years. It is a sleeper of the vintage. Decanter - Finely expressed cassis fruit, slightly leathery and firm, good ripe middle palate and will show well.